The latest in technology for apartments encourages residents not to lift a finger, except maybe to touch their phones. 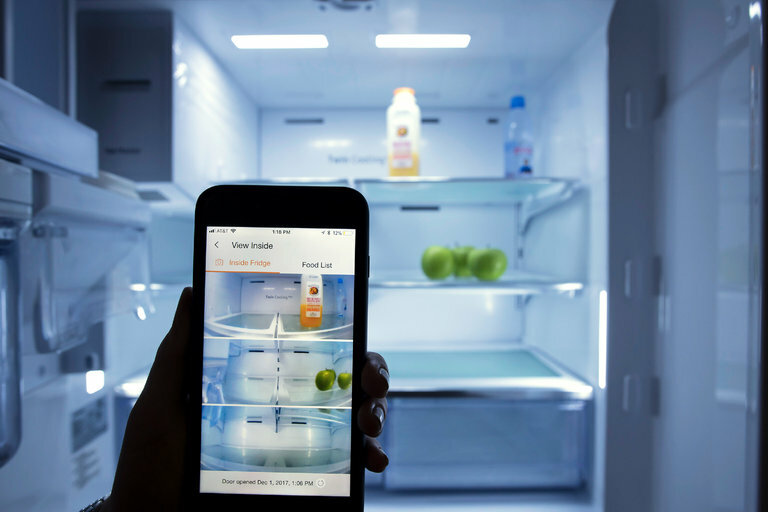 Developers are certain that buyers want gadgets that could, say, help shuffle boxes of books to storage areas, or allow a peek inside the refrigerator when they’re at the grocery store and can’t remember if they need milk. These digital amenities, which are controlled by voice commands and smartphone apps and use robots, are turning up across the New York area in condos, co-ops and rentals, even if users may have to contend with a few glitches. Users may also have to pay a premium. Yet, to not plug in, developers say, would be to lose out. This latest crop of cutting-edge features includes an all-in-one furniture system designed to save space by expanding or contracting at the flick of a switch. It is available in rental projects in New Jersey and Manhattan, including at the Riverbend District, a mixed-use complex under construction in Harrison, N.J., from DeBartolo Development and Advance Realty. Renters in the first 286-unit phase of the project, called Steel Works, are about to be given the option of leasing a telescoping bed-and-dresser system designed by Ori Systems, a start-up. At night, renters can slide out a hidden bed, by manually pressing a switch; tapping their phones; or through voice-assistant software, which in Steel Works’s case means via Echo Dot. This puck-sized Amazon.com device comes with all units. In the morning, the bed can retract inside the Ori unit, which is plugged into a wall and mounted on a track, allowing the entire unit to be moved to create a larger living space for entertaining. The unit, lined with hanging rods and drawers, is made of poplar plywood and also has a surface that can be extended for a desk.